Rachel Dolezal is in the news again. 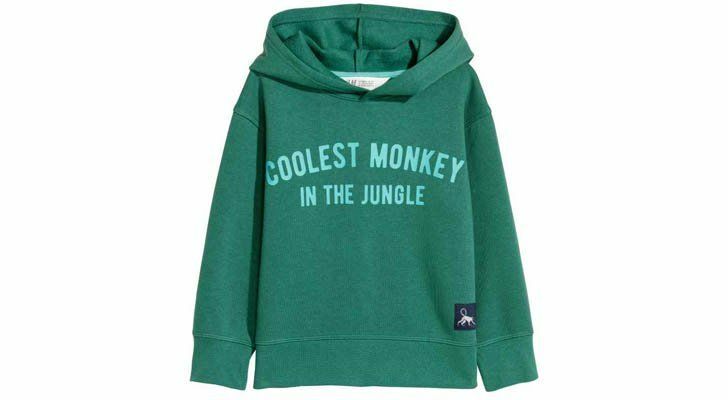 The former NAACP chapter president turned crusader for “trans-racial” people created a hoodie to protest H&M’s latest controversy — a hoodie that read “Coolest Monkey in the Jungle” worn by a young Black model. 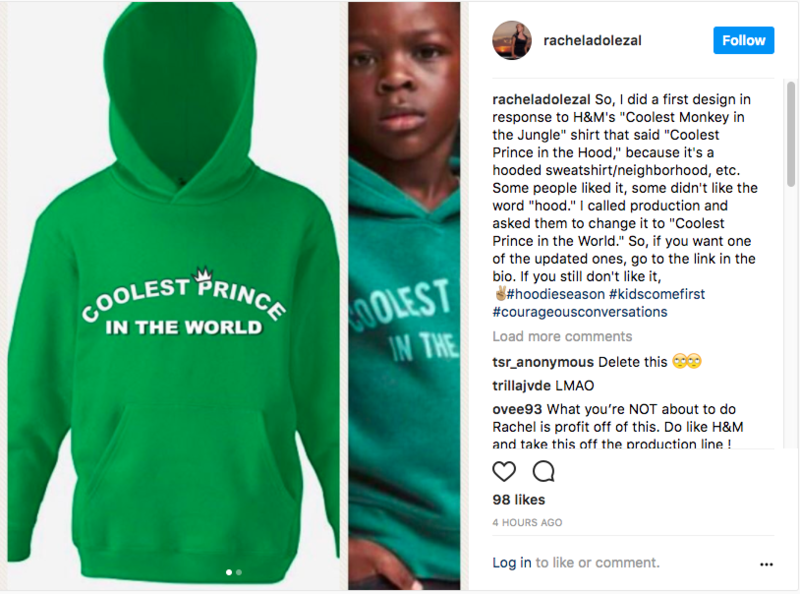 Facing backlash in her comments section about the attempt to capitalize off the scandal that was a direct offense to Black shoppers —of which she is not— Dolezal said the money would go to her children, in lieu of not having a job. It was 2015 when Dolezal made headlines for using her White privilege to ascend racial lines and pose as a Black person. Outed by colleagues at Spokane’s NAACP, the 40-year-old stepped down from her role but continued to share that she “identifies” as a Black person.